As Boris Johnson steps down as Mayor of London, he's organising a final farewell to the city in the form of a free party. The catch? You have to find it. Taking place next Sunday, Search Party is a treasure hunt. If you manage to solve the clues, they'll lead you to a secret party complete with music, dancing, afternoon tea and more. Once you've registered to take part (either individually, or as part of a group of up to eight people), you'll be given one of four starting locations, depending on whether you choose the City, Park, Squares or Children's route. You'll be sent through hidden gardens, secret squares and side streets on your route, and perhaps most shocking of all for Londoners, you'll have to interact with strangers. With actors en-route you'll have to decide whether that person on the other side of the street is part of the fun — or just a stranger on the other side of the street. You've got four hours to solve all the clues, which will reveal the venue of the free party. 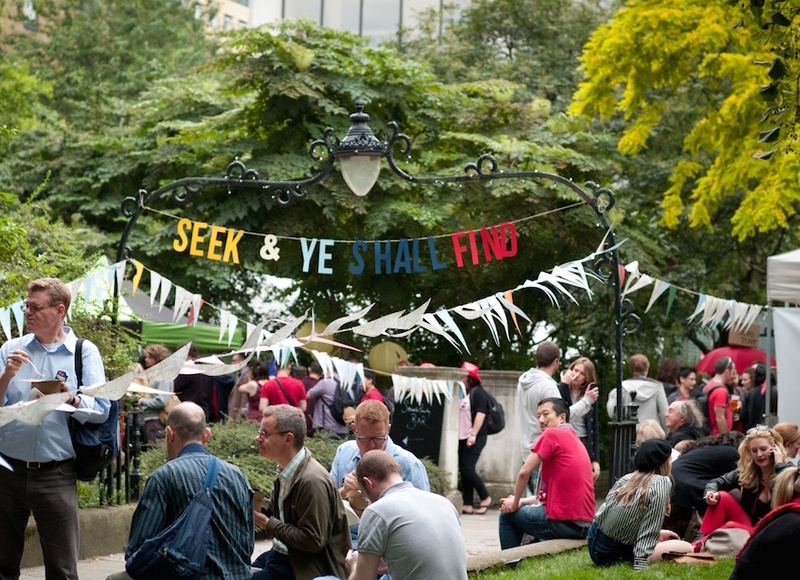 Search Party is part of Find Your London, a 10 day festival taking place across London, encouraging Londoners to see more of their city. Events include beekeeping, photography and an Alice in Wonderland Tea Party. Search Party takes place Sunday 20 March, 12pm-7pm. Tickets are available free, but are limited, so book yours now. Follow @LdnSearchParty on Twitter for updates.